‘You’ – You as the personal customer participating in a personalised program or group session. We have total belief in the effectiveness of our services, however, a team effort is needed to get results. Success requires personal commitment from you as well as Pole Fit. The recommendations that we make will always be in your best interest. Based on our professional expertise and experience we will only recommend services that are necessary for getting you a successful result. If we are unable to attend your session/class, we will look to find an alternative time to make up the session for you where 24 hours notice is given. We may make recommendations that challenge you, encourage you to step outside your comfort zone in order for you to get the best possible results, so please be open minded and willing to give yourself a chance. 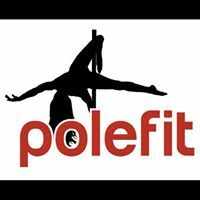 You can expect the highest quality of service from Pole Fit, knowing that we genuinely care and want to help you be the best that you can be. All sessions and packages must be booked and paid for in advance or by the agreed instalment plan. You are obliged to pay the whole program fee regardless of if for any reason you wish to stop half way or part way through. Payment details must be given prior to the first session and using the attached payment form. Please be on time for your sessions. Consistency and session attendance are vital for you to achieve your results. Group Session Members – Any missed sessions are forfeited. If you wish to cancel your membership please let us know at least 2 weeks before the 1st of the month. If your package allows a fixed amount of sessions per week, they MUST be attended THAT WEEK. They cannot be carried over. Planned holidays can be worked around by talking to your instructor at the START of your membership, and we will do our very best to get you booked onto other sessions where available. Change of class time or day must be notified the week before, we can accept changes up to 24 hours before IF there is space in the session you wish to move to.